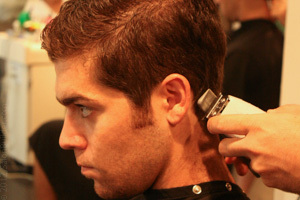 Men Haircuts, shampoo and color $75 ( regular price $90) Book now online! Look for our package deals on our booking site.Its easy :)We will make you feel refreshed and ready for a new day.In and out in a minimum of time and enure you look your very best. Shampoo, haircut ,style,conditioner and single process color for only $99.00 (regular price $155.00) on Sunday,Monday and Tuesday . Cannot be combine with any other specials. This special promotion must be booked on line . Purchase Gift Certificate on line, call or just stop by.We are here to pamper you.